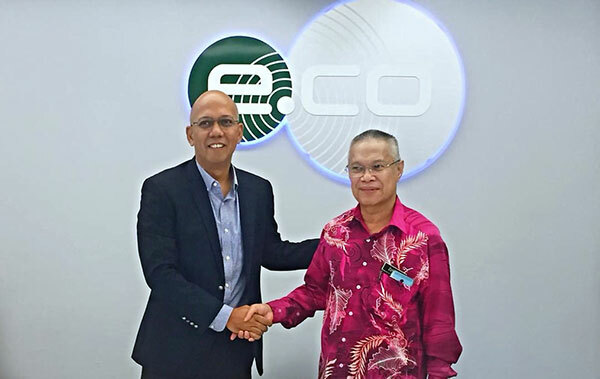 edotco Malaysia Sdn Bhd (edotco Malaysia) and Melaka ICT Holdings Sdn Bhd (MICTH) today announced a collaboration to roll out more telecommunication infrastructure in the state of Melaka. Spanning the entire state, this collaboration will allow edotco Malaysia and MICTH to work together on upgrading telecommunications infrastructure in the state. edotco Group Chief Regional Officer Wan Zainal Adileen and Melaka ICT Holdings Chief Executive Officer Zulkiply bin Harun sealing the collaboration agreement with a handshake. To date, 14 sites, mostly within the Bandar Melaka area have already been earmarked for deployment of telecommunications infrastructure that will boost mobile and wireless broadband service and quality in the region. Melaka ICT Holdings Chief Executive Officer, Zulkiply bin Harun said, “We have noted edotco’s successes in implementing the right sharable infrastructure in Malaysia. Their extensive knowledge in the telecommunications infrastructure industry complements our specialisation in fibre optic services and will benefit the people of Melaka. edotco Malaysia is a Network Facilities Provider Individual (NFPi) license holder since 2012, and currently operates and manages a portfolio of over 9,000 towers across Malaysia. Overall, the edotco Group operates and manages a regional portfolio of over 28,000 towers across core markets of Malaysia, Myanmar, Bangladesh, Cambodia, Sri Lanka and Pakistan with 17,000 towers directly operated by edotco and a further 11,000 towers managed through a range of services provided.